Check out how our mutants have grown from X-Men: First Class in these new stills from the follow up film X-Men: Days Of Future Past. Including an excellent look at a bullet-riddled, shirtless Wolverine and Mystique covered head-to-toe in her original blue skin. These come from Empire Magazine and Entertainment Weekly (there are plenty more stills over at each site), and we're really excited about the Kitty Pryde and Iceman shot. It's pretty cool how they are using original mutants from years and years ago. Aaaah can't wait! 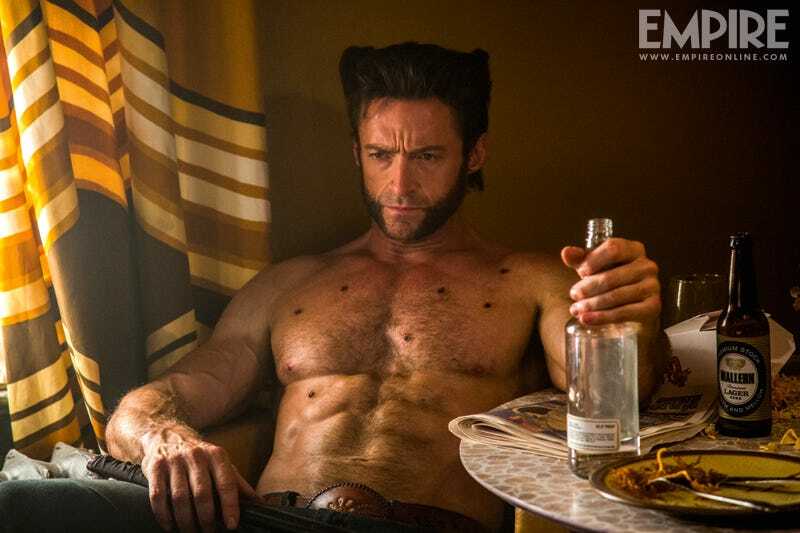 X-Men: Days Of Future Pastisn't out until May 22, 2014, but the first trailer will drop next week.